At the start of each season, we host a vegetarian dinner party for close friends. It’s a night we all look forward to with great excitement, and often the only times in the year when the six of us get together. A couple of days before the most recent dinner, our dishwasher died. It’s only five months old and under warranty, and Andy, our fabulous Miele repairman has now fixed it for us. But that didn’t change the fact that we had two big dinners planned that week, and no dishwasher. The next day, the fan elements in the oven failed. Thankfully, our large Smeg has top and bottom elements we could use as well, but we decided it was time for a new oven. Old Bob has worked hard for sixteen years, and Pete noticed that we’d started to fry the coating off the electrical wiring. More on that soon. So…we were a bit scattered that week. Fatayer are stuffed flatbreads from Lebanon and Syria, traditionally filled with spinach and cheese. The Moro version has pumpkin, fetta and pinenuts, but they would work just as well with other flavour combinations. As I’ve had some experience with bread baking, I abbreviated the dough making process a bit, and was very happy with the result. Make the dough by whisking together 220g white bread flour, ½ teaspoon of fine sea salt and ½ teaspoon dried yeast in a large mixing bowl. Add 100ml room temperature water and 2 tablespoons of olive oil. Squelch everything together, then give the dough a short knead in the bowl. Cover and allow to rest. In the meantime, preheat the oven to 230C and toss 800g of peeled and deseeded pumpkin cubes (about 5cm each) in a tablespoon of oil and a clove of garlic, crushed to a paste with a little salt. Season with salt and pepper, then bake for 25 minutes or until soft. Remove, allow to cool, then puree and adjust seasoning. Divide the dough into four and roll each into a ball. On a well floured bench and using a rolling pin, roll each ball into a flat circle about 17cm in diameter. Put a dollop of the pumpkin puree in the centre, then top with a little fetta, oregano and toasted pinenuts. Bake in the hot oven on a parchment lined tray for 10 – 15 minutes until the fatayer starts browns, but doesn’t go hard and crusty. These were great fun to make, and a nice alternative to pastry wrapped pies and pasties. To finish off, we served Portuguese tarts from the Honeymoon Bakery in Petersham – absolutely delicious and ridiculously good value at just $2 each. I’d bought them the day before and Carol crisped them up to perfection in her airfryer on the night. Mind you, Big Boy got to them before the dinner, so there was only enough left for one each! 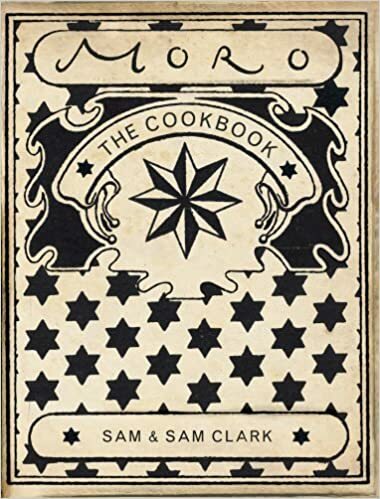 If you don’t already have it, I’d highly recommend the Moro Cookbook. And you’ll be pleased to know that I have a fully working kitchen again. I can’t wait to tell you about our new stove! Oh wow, that looks delicious! hope all broken things will be fixed for decades! why these things happen always in the trickiest times? Sending good thoughts to your lovely kitchen. I guess it just shows how much you actually use it. And hurray for vegetarian feasts? Have you tried oven baked falafel? Much easier than frying. Hugs, Maz. Sounds like a great evening. Looking forward to hearing about your new oven. I have just ordered a Falcon and cont wait to see how it bakes my sourdough. Sounds like a great meal. I’ve made fatayer and with a variety of fillings, they make for great appetizers or sides. The egg tarts look amazing. I love the way you give everything a name! Ooh, a new stove? That’s always exciting. The death of my old oven prompted a total kitchen reno in our house – much to The Bloke’s surprise. Moro is a damn good book I have to say. I love middle eastern flavours so looks like heaven to me. And what? $2 dollar Portuguese tarts that’s amazing. What a wonderful feast and I love the way it was all wrapped for delivery – I hope it was a wet and windy night and that you were wearing a wonderful cloak. Poor old Bob, I hope you gave him a decent send off, but I look forward to seeing what comes next. Fried wiring would tick all the gluten, dairy, nut free boxes wouldn’t it. Portuguese Tarts………..had some in Germany, Yummy. And all the food looks fabulous, bet you had a great time. I don’t own a dishwasher – I AM the dishwasher, hence the chipped fingernails all the time! We make Fatayer quite often using the above fillings. Also we make a sweet version of curdled yoghurt mixed with sugar or honey and then deep fried, with the sugar orange blossom syrup on top. mmmm.. I love your idea of different cultural cooking and sharing with friends. Food always brings people together in a happy way!. It sounds like a perfect feast. I’m definitely going to try the fatayer, they look and sound awesome! How fabulous did that look all wrapped up! I’m sure it tasted even better. I don’t have Moro but I do have ‘Olives, lemons, and Za’atar’ which seems similar in style. I hope your breakages are all over now.